How to change Apple ID on iPhone and iPad. Let’s discuss Apple ID before I will enlighten you on how to change Apple ID on iPhone and iPad. What is Apple ID? 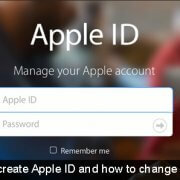 Apple ID is a service that is used by Apple to authenticate or sign in an iPhone, iPad, or Mac. It is both your iTunes account and the login for your iCloud account. Apple ID is basically your one-stop shop for everything on Apple. It holds your personal info, passwords, and security. Apple ID is also used to stores all your subscriptions and in-app purchases on the App Store. Apple ID enables users to download content from iTunes and the App Store. 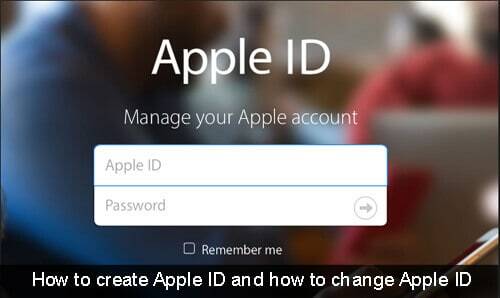 You can check our post on how to create an Apple ID if you don’t have one. Presently, there are many Apple ID users that want to change Apple ID on iPhone and iPad But don’t know how to do it. There are many reasons people want to change the Apple ID that is associated with their iPhone and iPad. Some people need to change their Apple ID when they are switching from a third-party email ID to an icloud email. Below is a short and easy guide on How you can do it without stressing yourself. Kindly follow the guide step by step so that you will be able to complete the process. To change Id on iPhone and iPad, ensure that you are running the latest version of iOS on your device, you can update your device to the latest version if you are not running the latest version. Also, make sure that you have the login details of the old and new Apple id. Ensure that you have a working internet connection. Having met up with the requirements, you can then follow the below guide. Open the ‘Settings’ app on your iPhone or iPad. The next step is to Scroll down and click on the iTunes & Apple Store option. Now, click on the Apple ID button after that click on the sign out option. The next step is to add a new ID. Open the ‘Settings’ app on your iOS device. Click on the sign in button and Enter your Apple ID and password. After entering the ID and password click on the sign in button. With the above steps, you have successfully change your Apple ID on your device.